Even as a child Lorraine’s passion for dogs was evident but officially and professionally she has over 35 years “in dogs” when she began her career at the Toronto Humane Society. Throughout the years her experiences have included shelter work and management, Animal Control Officer, SPCA cruelty agent, dog trainer, Therapy Dog evaluator, canine behaviour seminar organizer and host, animal advocacy committee member, Hurricane Katrina transporter, canine behaviour training and assessments and dearest to her heart – dog foster & adoption coordinator and foster mom. A two-time Maxwell award winner from the Dog Writers Association of America, Lorraine has penned numerous magazine and newspaper articles in an effort to raise awareness about the plight of homeless dogs, the puppy mill industry and the rewards of positive, motivational dog training. She currently writes the pet column “Critter Chatter” for the Mirror newspaper. She launched Speaking of Dogs Rescue in 2001 when an old friend from the Toronto Humane Society called her to come and meet a dog who was at Toronto Animal Services and would benefit from a rescue organization. In 2000 Lindsay adopted her first Shih Tzu “Raggs” from Toronto Animal Services and her life changed forever. She could not imagine how she had ever lived in a home without a dog. In 2002 Lindsay became a Foster Mom for the Ontario SPCA and adopted her second forever dog “Buddy” from them. It was thanks to Buddy that Lindsay met Lorraine Houston from Speaking of Dogs Rescue and in 2006 Lindsay joined the foster parent program. 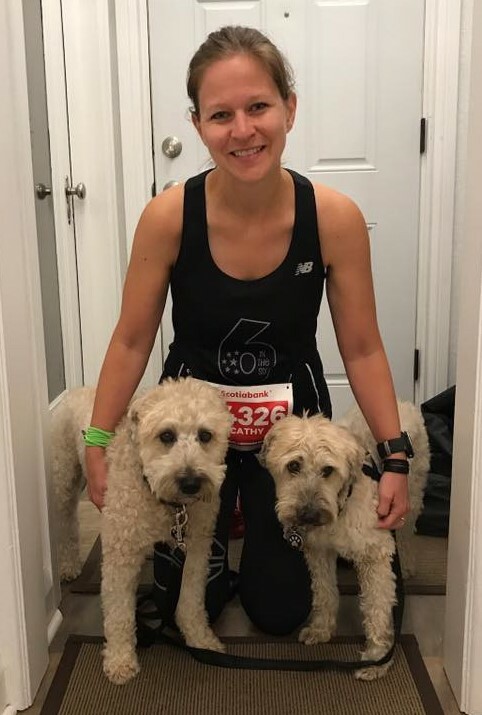 Since that time she and her 3rd forever dog Riley have successfully foster 34 dogs for Speaking of Dogs Rescue – including the wheaten terrier puppy adopted by Cathy Vandergeest and her husband. While her full time job has taken her way from fostering, Lindsay continues to enjoy participating in all aspects of the rescue, from volunteering at fundraising events to dog transports and her Board duties. Katie grew up with a passion for animals but it was not until she was 19 when she got her first dog Lady, a beautiful all white Bull Terrier and it was love at first sight. Shortly after her ‘brother’ arrived, Bruce, a cheeky rambunctious bully. In 2006, Katie had a chance to move from England, U.K. to Canada, and it was either with her dogs or not at all. In 2012 she made the decision to help other dogs in need in honour of Lady and Bruce after they passed to rainbow bridge. Katie started volunteering with Helping Homeless Pets at event booths, performing home visits, and for a period of time intake co-ordinator. Katie met Lorraine and the Speaking of Dogs team in 2013 shortly after adopting Rigo, the latest addition to the family, and since then has been volunteering at event booths and is the Board Treasurer. Katie is a Finance Manager at Bell Media for specialty and pay television. Kim has been involved in dog rescue since 2002 and joined Speaking of Dogs Rescue in 2008. She’s always had a passion for animals, which is often recounted when her parents tell stories of all the strays she brought home while growing up. Despite holding down a full-time job, Kim believes volunteering to help rescue animals is what she’s meant to do in life. 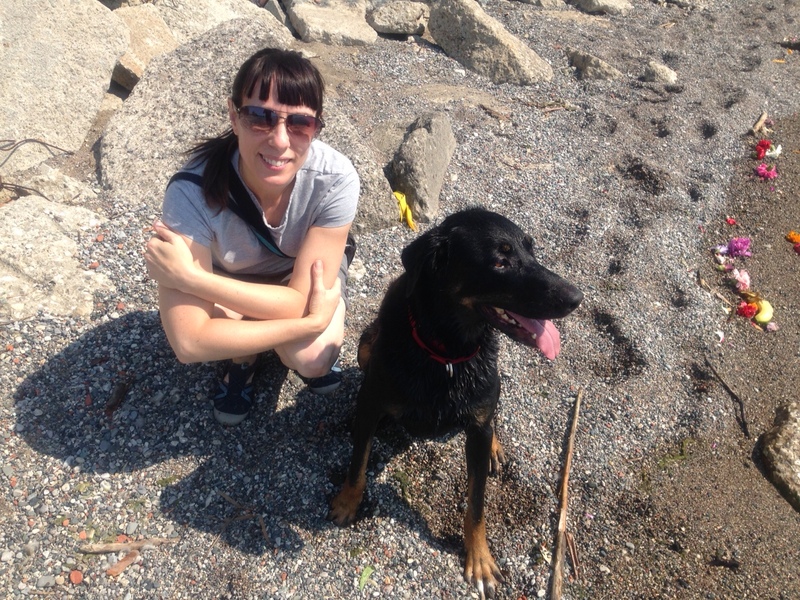 She enjoys being the volunteer and fundraising coordinator since it allows her to put her organizational skills to good use, raise awareness and guide a fabulous team of volunteers in their endeavours to raise much needed funds to help the rescue dogs. Kim currently shares her home with her husband and her Speaking of Dogs Rescue girl Nikki (shown in photo). There was always a dog in Linda’s life until retirement and extended travel made it unfeasible. Then, until they sold their home two years ago, Linda and her husband Ron fostered nursing mother cats and their litters for Toronto Animal Services. Cats or dogs – Linda is ready to help animals in need. She came to know Speaking of Dogs Rescue while volunteering at a local SPCA shelter where she also served on that shelter’s board and has continued her life-long interest in dogs, their health and well-being. While working in the corporate world, she was a long-standing member of the Board of Directors of The Ontario March of Dimes and served as the Board’s President. A particular focus of hers was board governance and development. 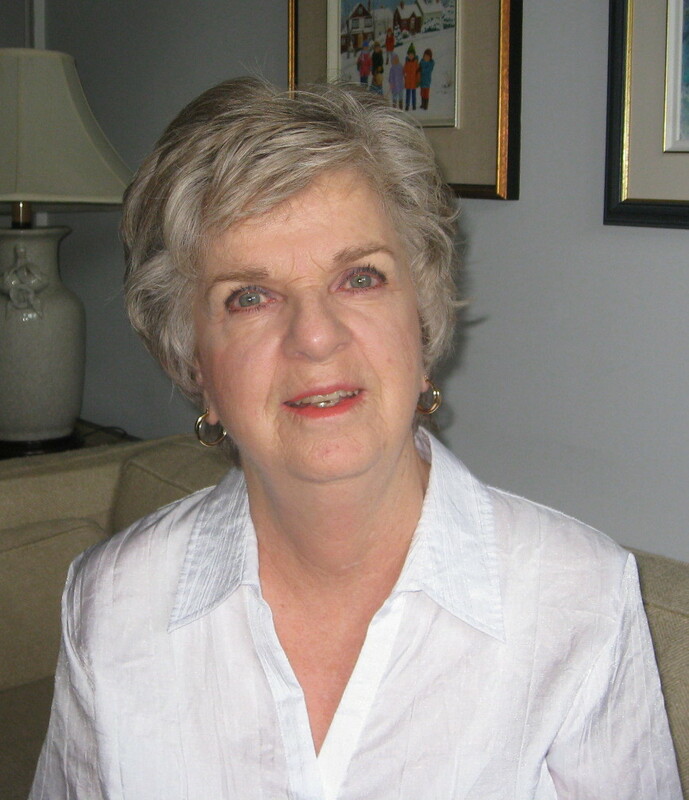 In retirement, Linda has been an active member of Ryerson’s LIFE institute and was on the committee which created LIFE’s first strategic plan. She takes interest courses at LIFE and works on improving her French language skills. She also volunteers at Ryerson as a “Conversational Connections” coach, working one on one with foreign-language students, to help them improve their conversational English. Nancy can’t remember what came first, her love of animals or her love of language, but both have featured prominently in her life for as long as she can remember. Growing up, when not playing with the family dog, she would generally be reading. She acquired her first rescue pet while still in university, when she took in a kitten from a litter that had been abandoned in a barn. A cat from the Toronto Humane Society followed a few years later, and a few years after that she applied to adopt a dog from Speaking of Dogs Rescue. After a brief conversation with Lorraine she decided to foster instead and provided temporary homes for three wonderful dogs. She failed fostering 101 with her fourth foster, Bailey (Lincoln at the time), a beautiful American Eskimo cross. She works full-time as a freelance copyeditor and proof reader, and she shares her home – and home office – with Bailey, her cat Homer (adopted from Annex Cat Rescue), and her boyfriend. Cathy discovered Speaking of Dogs Rescue when she and her husband adopted a wheaten terrier puppy in 2008. Cathy grew up surrounded by gerbils, hamsters, guinea pigs, parakeets, fish and cats, but dogs have always held an extra special place in her heart. Her first dog was a feisty lhasa apso who didn’t let her size stop her from hiking mountain trails in B.C. Cathy is a registered graphic designer at a large format printing company. In 2012 Cathy and Nancy joined forces as designer and editor of the Speaking of Dogs newsletter. They work exceptionally well together to bring readers their dose of doggy updates each month. Cathy has designed several other items for the rescue as well, including the Rescue Directory cover, signs, mugs and postcards. In 2015 she proudly admits to ‘failing-at-foster’ within days of adding another sweet wheaten terrier to their family. Colette has been an animal lover since childhood and having animals in her life is important to her, especially if it means she can help. She’s been able to do this in many ways over the years as a supporter and volunteer with the Toronto Humane Society, as a kennel assistant, and as a loving rescue mom. In 2011, Colette and her husband became foster parents through Speaking of Dogs to Nelly, a spirited Doberman-Lab mix. As a foster mom, Colette became part of the Speaking of Dogs family which gave her an opportunity to see first-hand their amazing volunteer and rescue efforts. She was struck by the organization’s passion and knew it was something she wanted to be a part of. Today, Colette oversees the Speaking of Dogs website, is a member of the online auction team, and is always available to volunteer when needed. She and her husband share their home with their dog Nelly and their cat, Jinx. Gerry was honoured to join Speaking of Dogs in 2010, originally volunteering as a foster home. Her love and respect for the work Speaking of Dogs does inspired her to take on a more active role in the rescue with the goal of increasing awareness and encouraging more people to Adopt not Shop. Currently Gerry manages the Facebook page and twitter account, while always maintaining her role as a serial foster mom. She takes great pride and pleasure in helping the rescue and the dogs entrusted to her care. 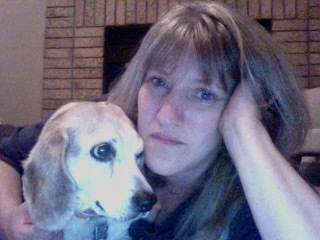 Currently she is owned and loved by Speaking of Dogs Alumni, Britt the Beagle and Lily (bunny) the Shih tzu. Growing up with dogs, Sue always felt a kindred connection with her furry siblings. It was while living and working in New York City that serendipity struck. An abandoned Shih Tzu crossed Sue’s path in Central Park and ‘Charlie’ changed her life forever. 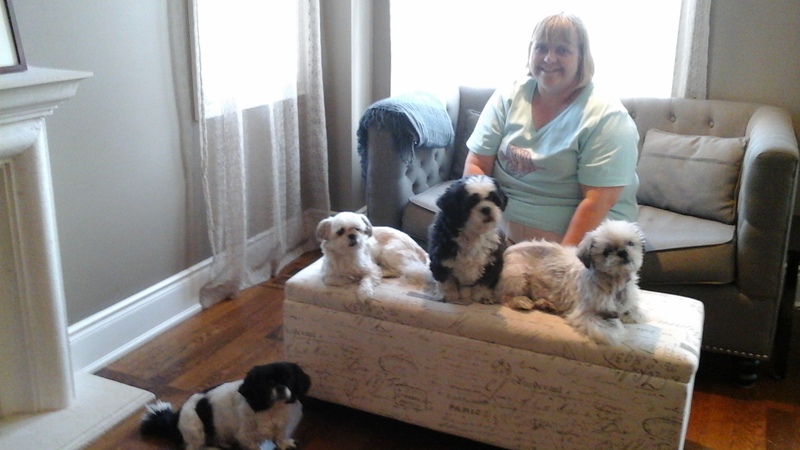 Upon her return to Toronto, Sue met Speaking of Dogs founder Lorraine, and jumped on the rescue’s bandwagon as a volunteer and foster Mom for senior small dogs. 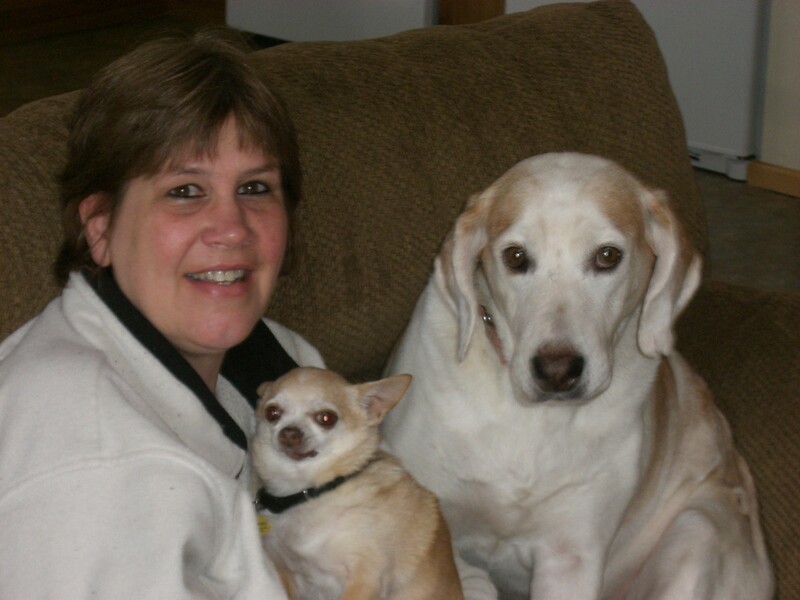 Since 2001, Sue has fostered many, many small seniors for Speaking of Dogs and failed fostering 15 times. Yes, 15 of those fosters became Skinners. In addition to fostering, Sue is the coordinator for adoption and foster applications. In her other life, Sue is a television Casting Director who works alongside her two handsome boys Hartley (adopted from SoD in 2016) and Archie (a forever in foster dog). Tammy has been fostering for Speaking of Dogs since 2008. They have fostered 38 dogs over the last seven years. She enjoys writing thank you to all the great people that donate to the rescue. Her and her husband Lou share their home with Bobby “a failing foster 101” mini poodle mix who is now 7 years old and they also have Frankie the cat who is 11 years old. We feel that fostering is very rewarding especially when the forever home people thank you for bringing such a special gift into their life.